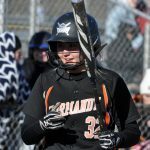 The softball JV & Varsity double header scheduled for May 4th at Copley has been rescheduled. The games will now be played on Saturday, April 20th. JV and Varsity and start times will be 11 & 1 at Copley. 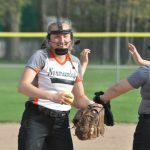 Girls Varsity Softball · Mar 25 Normandy Softball continues to roll…3 – 0! 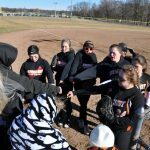 On Monday the Invader Varsity softball team took on North Olmsted at Nike Park. The Invaders stayed unbeaten with another win. This time by 5 over the Eagles in a hard fought chilly game. A photo gallery has been posted. 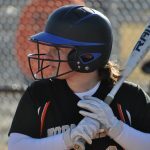 Girls Varsity Softball · Mar 23 Normandy Softball starts the Spring with a Sweep! 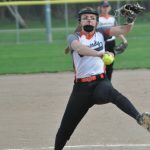 The Normandy softball team traveled to Shaker Heights Saturday and swept a varsity double header. The Invaders won the first game 12-2 and followed with a 20-5 win in the second game. They are scheduled to be back in action on Monday weather permitting v North Olmsted. The JV softball game scheduled for today at Fairview Park has been postponed due to rain. No Make up date has been set. Both Softball teams will practice today after school until 4:30. 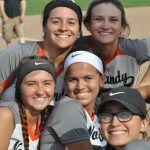 The Normandy Softball team won today in Round One of the OHSAA tournament with a victory over Max Hayes. They will travel to North Royalton for round Two on Thursday. A Photo Gallery to be posted from today’s win. The Normandy Softball games scheduled for both the JV & Varsity have been cancelled. No make up date has been set. Practice today after school until 4:30.